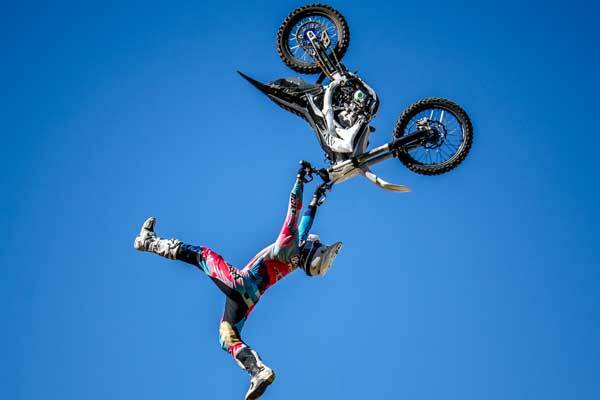 After a 10+ year absence from Australian shores, extreme freestyle motorcycle legends Crusty Demons will return down under with their brand-new live show ‘Rise Of The Demons’. With 11 world records to their name, the Crusty Demons continue to make headlines around the world with true believers blessed with some of the most radical, death-defying stunts known to humankind, with riders pushing to go bigger, faster, higher, and more insane than before. “Crusty Demons is the reason I started riding dirt bikes, so to now be given the opportunity to be a part of the Crusty Demons is a dream come true,” says Australian Crusty Demon’s rider Pat Bowden.